Mayawati said since the matter is before the Supreme Court, parties and outfits must await the outcome and not rake it up in such a way. Bahujan Samaj Party chief Mayawati slammed the BJP and the Shiv Sena on Saturday for raking up the Ram temple issue ahead of the Lok Sabha polls, alleging it to be a "political tactic" to divert attention from their failures. She said since the matter is before the Supreme Court, parties and outfits must await the outcome and not rake it up in such a way. "To divert attention from their failures, they raised Ram Mandir issue. Had their intentions been good they needn't have waited for five years. It's their political tactic, nothing else. Whatever their associates like Shiv Sena and VHP are doing is part of their conspiracy," the BSP chief said in a statement read out before the media. Various organisations are holding programmes in Ayodhya on Saturday for an early construction of the Ram temple there. The former Uttar Pradesh chief minister also urged party cadre from staying away from organisations such as Bhim Army, who were allegedly using her and the BSP's name to gather people at their rallies and to seek donation. 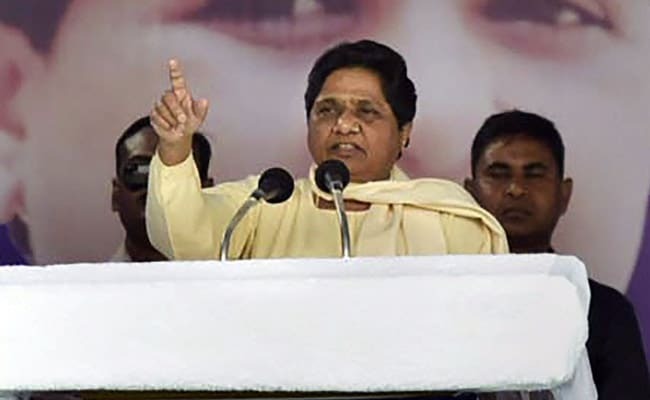 Without taking the name of Chandrashekhar Azad's outfit, Mayawati said such organisations may play in the hands of opposition parties during the elections. She alleged that such outfits were trying to pit people from different castes against each other which will only lead to violence and polarisation of society.